Today, I’m delighted to feature an interview with the Floral Angels, a new charity in the making. Could you tell us when and how the Floral Angels came about? We are five recently trained floral designers. 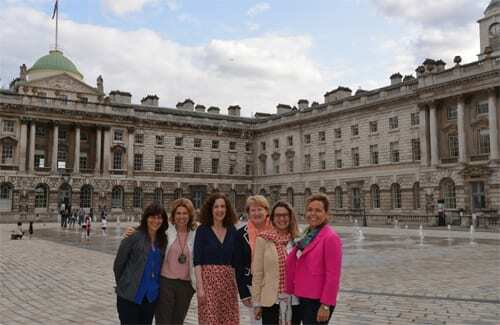 Our friendship was forged during a 30 week career course at The Covent Garden Academy of Flowers in London. While we’re all passionate about flowers and their ability to bring joy, we had decided that none of us wanted to pursue full-time careers in the floral industry. We were struck by the waste that there is after events, weddings and photo shoots, etc. every day in London and beyond. And we started thinking about how we could put these previously used flowers to good use. After some thought and research, we discovered that there is an organisation in America called Random Acts of Flowers. Based in Tennessee, it was founded in 2008 and is very successfully doing exactly this. We contacted the CEO and Founder, Larsen Jay, for some advice and from there, the Floral Angels were born. Who are the Floral Angels? 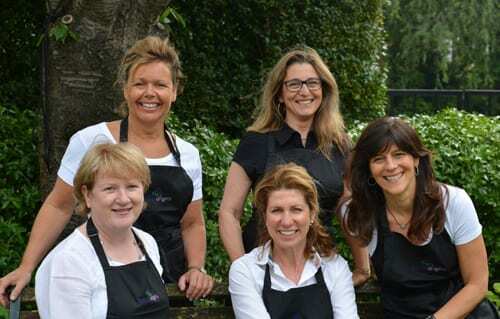 The Floral Angels are Frances Hunter, Julie Ritter, Marta Rocha, Amanda Romain and Gracia Lafuente. We’re a passionate lively team who are so keen for this project to work. If hard work and enthusiasm will make it succeed, we’ve got it! We also have a team of volunteers waiting in the wings (Cherubs), plus supporters and mentors (Guardian Angels). We’re very excited to say that we’re taking premises at New Covent Garden Flower Market in London, which we see as a natural home for us. We’re moving in over the coming weeks and will be fully operational in September. Could you talk us through how your charity works? The way it works is that after flowers have served their primary purpose of dazzling at events, weddings and photo shoots, etc., they can be given to us so that we can repurpose them. Instead of them being discarded to a waste site, we will make them into wonderful bouquets or arrangements, before their beauty has faded. These floral designs will then be donated to hospices, women’s refuge centres, elderly care homes and other deserving recipients. What kind of companies are you looking for to donate flowers to you? 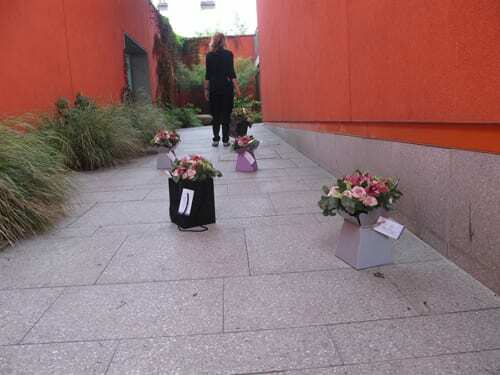 We’re already working with several London florists who have donated flowers to us after events and photo shoots. We have the support of floral artist Rebecca Louise Law and floral designer Shane Connolly (pictured below). 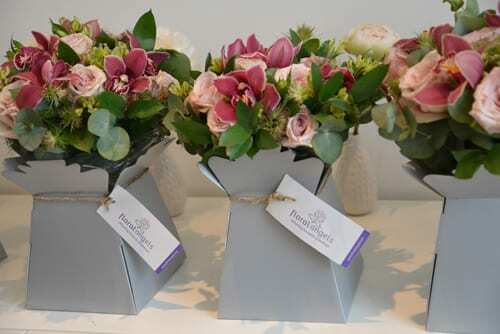 And several other very well-known London floral designers are keen to work with us too. But no matter how big or small the donation, we would love to collaborate with anyone in the floral industry who is able to support us. Also, we would love to have a partnership with any of the big retailers (e.g. Marks & Spencer, Waitrose, Tesco, etc.) who have flowers that they’re unable to sell, but are still usable. And we’re keen to be part of the ‘Green Wedding’ movement, to encourage brides to think of their wedding flowers continuing to give joy to others, long after their wedding day is over. We’re all so much more aware of recycling, that our concept of repurposing flowers is a natural step. Where do you distribute your bouquets? We’ve been going now for just two months, but have already donated thirty bouquets of kindness to Hestia‘s women’s refuge in London, Maggie’s Cancer Caring Centre at Charing Cross Hospital, the veterans home in Fulham and a north London refuge for victims of domestic abuse. 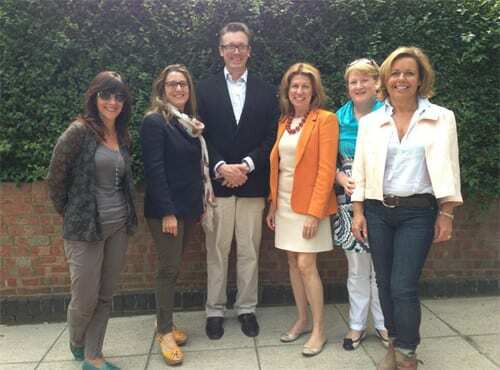 We’re furthering our partnership with hospices in London and elderly care homes. There have been studies done at Harvard and Rutgers universities that show that a patient’s recovery is helped by the presence of flowers. As you’re only at the very beginning of your floral journey, what help do you need urgently? It was such a pleasure to meet up with the Floral Angels last Monday and I was very touched that they asked me to be a ‘Guardian Angel’. They’re so passionate about their charity that I’m sure that it’ll be a huge success! To help them though, they’re going to need lots of help. So, if you’d like to assist them in any way, please do contact them via their email address on their website. We met some weeks ago on the t rain from Baker Street to Ricky, wasn’t it ? Congratulations to you all on a breathtakingly brilliant idea! you have captured it well with your really imaginative name, Floral Angels. Would love to know how I could help you all out here in sunny Haywards Heath in darkest Sussex! If you have any ideas on this, now or later on, would you let me know? Hi Hugh, It was a long time ago we met on the train I was loaded down with flowers I believe! We have been very busy & come a long way since then. Please do get in touch with us via our e-mail or web site & see our journey so far.